The ancient prophets and teachers of Israel were poets . . . or at least the ones we remember best and quote most often and hold most dear were. Jeremiah . . . Isaiah . . . Miriam . . . Judith . . . even King David himself. Who ever used language with more care than they? Who ever more completely allowed the precision and rhythms of language to become their truth as well as its vehicle? Who ever taught us more persuasively than they always, when in sacred conversation, to yearn for the beauty of the nuance and the gripping power of the ordinary turned to holy use. Who ever, indeed? Yet Kyndall Rothaus has understood these things since the first moments of her call to ministry. She has understood them, and she has employed them well. Preacher Breath is in part the story of that understanding, and, in part, it is the proof of it. Enter these pages with expectation. You will not be disappointed. Kyndall Rae Rothaus is a preacher, poet, linguist, and the pastor of Covenant Baptist Church in San Antonio, Texas. Kyndall’s imaginative, scholarly, and deeply human sense of proclamation will shape the future of preaching. 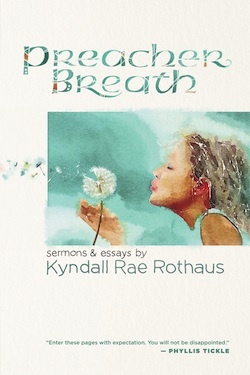 The task of preaching is such an oddly wonderful, strangely beautiful experience. . . . Kyndall Rothaus’s Preacher Breath is a worthy guide, leading the reader room by room with wisdom, depth, and a spiritual maturity far beyond her years, so that the preaching house becomes a holy, joyful home. . . . 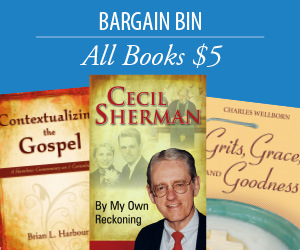 This book is soul kindle for a preacher’s heart. Honest, vibrant, vulnerable, and funny—I would recommend this book to preachers, for sure, but anyone who longs for freedom, authenticity, and transformation will find a trove of wisdom here. Opening up Scripture so that its words and themes are lifted into new life; opening space in which listeners orreaders can connect both with transcendence and with immanence, God far-above and God deep-within; these are the obligations of anyone who stands before a congregation and dares to preach. Kyndall Rae Rothaus makes these tasks seem effortless. If you are a preacher, read this book and read it again and again. In the tradition of Barbara Brown Taylor's The Preaching Life, Preacher Breath is solace for the preacher's soul. Writing out of her own experience as a pastor, Kyndall's profound reflections on the preaching life are so full of grace and truth that preachers will find themselves on every page. A wordsmith of the first order, her writing is exquisite. The sermons she includes are simply paradigmatic and imbued with such richness and depth that they will make us better preachers and better Christians. This is no "how to" book but a siren's song call us to experience the mystery and wonder of the preaching life to the fullest. Preacher Breath is truly a breath of fresh air. Tolle lege, Take up and read!